John Daido Loori was, until his death in 2009, the spiritual leader and abbot of Zen Mountain Monastery in Mt. Tremper, New York. Trained in koan Zen as well as in the subtle school of Master Dogen's Zen, he was the Dharma heir of Hakuyu Taizan Maezumi Roshi. Devoted to maintaining authentic Zen training, he developed a distinctive style, called the Eight Gates of Zen, based on the noble eightfold path. Drawing on his background as scientist, artist, naturalist, and Zen priest, Abbot Loori was an American master who spoke directly to students from the perspective of a common background. His books include Mountain Record of Zen Talks and The Heart of Being. Taigen Dan Leighton, Soto Zen priest and successor in the Suzuki Roshi lineage, received Dharma Transmission in 2000 from Reb Anderson Roshi and is Dharma Teacher at Ancient Dragon Zen Gate in Chicago. After residing for years at San Francisco Zen Center and Tassajara monastery, Taigen also practiced for two years in Kyoto, Japan. Taigen is author of Zen Questions: Zazen, Dogen, and the Spirit of Creative Inquiry, Faces of Compassion: Classic Bodhisattva Archetypes and Their Modern Expression, and Visions of Awakening Space and Time: Dogen and the Lotus Sutra. 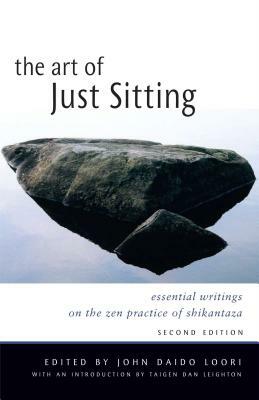 He has edited and co-translated several Zen texts including: Dogen's Extensive Record: A Translation of Eihei Koroku, Cultivating the Empty Field: The Silent Illumination of Zen Master Hongzhi, Dogen's Pure Standards for the Zen Community, and The Wholehearted Way, and has contributed to many other books and journals. Taigen teaches online at Berkeley Graduate Theological Union, from where he has a PhD. He has taught at other universities including Saint Mary's College, the California Institute of Integral Studies, and in Chicago at Meadville Lombard Theological Seminary and Loyola University Chicago. Taigen has long been active in social justice programs, including Peace and Environmental Activism.